Mr. Simon Kinneen has worked for Norton Sound Economic Development Corporation (NSEDC) for the past 14 years in various roles, including Norton Sound fisheries research and development director, CDQ manager, chief operating officer, and most recently, vice president and quota acquisition manager. He has served on the NPFMC Advisory Panel and Non-Target Species Committee, Bering Sea Fisheries Advisory Board, Advisory Panel to the North Pacific Research Board, Marine Conservation Alliance, and various other boards relating to state and federal fisheries. Mr. Kinneen was elected Chairman for the North Pacific Fishery Management Council in October 2018. Mr. Bill Tweit has been the Washington State representative on the North Pacific Fishery Management Council since 2005, and the vice chair since April 2015. He is a Special Assistant to the Director of the Washington Department of Fish and Wildlife. His other duties include management of harvest and hydropower impacts in the Columbia River basin in conjunction with the Treaty Indian Tribes of the basin and the states of Oregon, Idaho and Montana; coordination of Invasive Species issues for the Department; and development of mitigation agreements for the impacts of Columbia Basin development on fish and wildlife. His newest task is serving on the regional team developing the framework for potential alterations to the US/Canada treaty on Columbia River water supply, hydropower and flood control. Ms. Rachel Baker represents the State of Alaska’s interests in federal fisheries management issues, including participation on the North Pacific Fishery Management Council on behalf of the Commissioner of the Alaska Department of Fish and Game. Ms. Baker has over 15 years of experience working to develop and implement fisheries policy and management programs for commercial, recreational, and subsistence fisheries off Alaska. Prior to joining the Alaska Department of Fish and Game in early 2019, she worked for the National Marine Fisheries Service in Juneau, Alaska, as an analyst and regulatory specialist for Alaska’s federal halibut, groundfish and crab fisheries. Ms. Baker began her fisheries career as an economist with the Alaska Department of Fish and Game and later worked as an analyst and fishery manager for the New Zealand Ministry of Fisheries and for the National Marine Fisheries Service headquarters office in the Washington, DC area. Dr. Jim Balsiger has served as the regional administrator for NOAA Fisheries Alaska Regional Office since May 2000. From February 2008 to 2010, he served as the Acting Assistant Administrator for NOAA Fisheries, where he oversaw the management and conservation of marine fisheries and the protection of marine mammals, sea turtles, and coastal fisheries habitat within the U.S. Exclusive Economic Zone for the entire agency. Prior to his current role, he was the Regional Science and Research Director at the Alaska Fisheries Science Center. Ms. Karla Bush is the Extended Jurisdiction Program Manager and serves as an alternate on behalf of the Commissioner of the Alaska Department of Fish and Game (ADF&G). She has worked for the Division of Commercial Fisheries since 2001, serving as a shellfish fishery manager in the BSAI and Southeast Alaska areas, as a Fishery Biologist in the Extended Jurisdiction Section, and as the Southeast Alaska shellfish/groundfish program coordinator. Ms. Bush was a member and vice-chair of the Council’s BSAI Crab Plan Team from 2010-2016, serves as an alternate on the Pacific Fishery Management Council, and is the Alaska coordinator for the Pacific States Marine Fisheries Commission. Ms. Bush has a MS degree in fisheries from the University of Alaska Fairbanks and resides in Juneau, Alaska. Captain Allison J. Caputo is the Chief of Maritime Law Enforcement for the Seventeenth Coast Guard District. Captain Caputo holds a Master’s Degree in Marine Affairs from the University of Rhode Island. 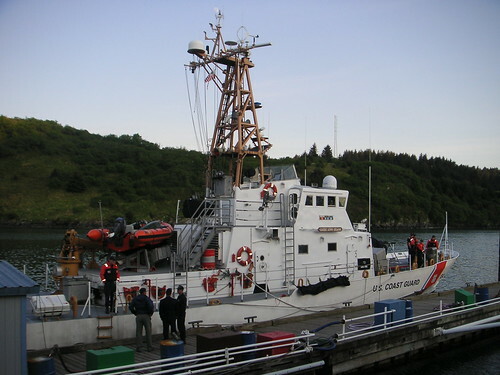 She has over 11 years of sea service aboard cutters in both the Atlantic and Pacific Areas, including over 100 boardings as a fisheries law enforcement officer in Alaska. While based in Honolulu, HI, she served as the USCG representative to the Western Pacific Regional Fisheries Management Council. 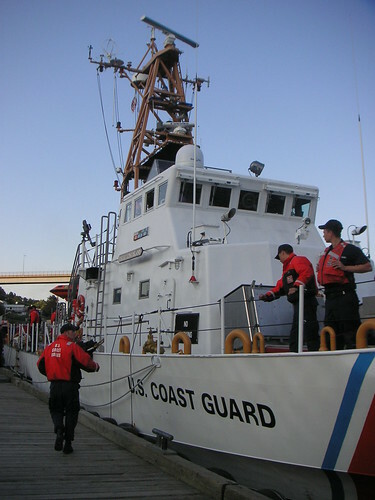 Captain Caputo also served as Chief of Living Marine Resources Enforcement at Coast Guard Headquarters where she implemented the Port States Measures Agreement to prevent, deter and eliminate illegal, unreported and unregulated (IUU) fishing. Mr. Craig Cross is the Director of Government Affairs and Business Development for Aleutian Spray Fisheries, Inc., a Seattle based fishing company that operates vessels that fish for Alaska pollock, Pacific cod, Alaska crab and West Coast groundfish. 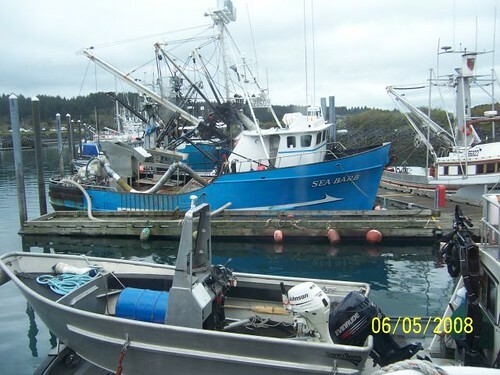 Prior to assuming this position in 2000, he worked in a wide range of positions in several other North Pacific fishing companies, ranging from on-deck work and processing to directing vessel operations. 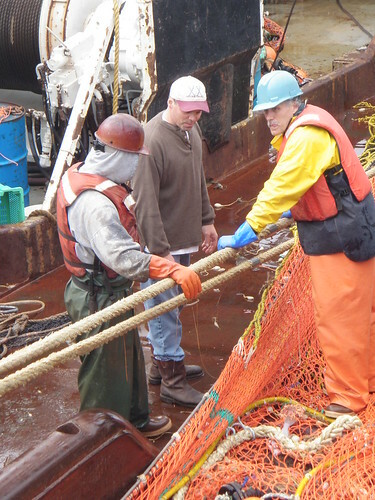 Mr. Cross is a member of the Board of Directors for several large trade associations: Alaska Bering Sea Crabbers, At Sea Processors Association, Freezer Longliners Coalition, United Catcher Boats, and is past president of the Seattle Fishermen’s Memorial. He has been very active in the NPFMC process and is serving his third term as an appointed Council member after serving as a longtime member of the Council’s Advisory Panel. Mr. Cross received his degree in fisheries from the University of Washington. He resides in Seattle, Washington. Mr. Kenny Down owns Seaquest Ventures, a small maritime contract and investment advisory company in Seattle. 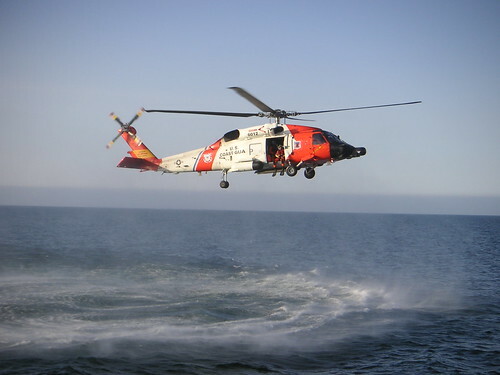 He worked from 2012-2018 as the President and CEO for one of the largest participants in the Bering Sea and Aleutian Islands hook-and-line catcher processor sector. Kenny has served as a Board member with the Freezer Longline Coalition and spent more than four years lobbying, organizing and, most importantly, leading national policy in support of low-impact fishing efforts. Before his political work, Mr. Down spent nearly 20 years in the Alaska longline fishing industry. 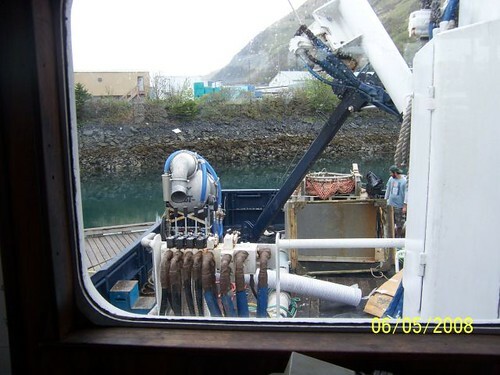 He has worked as general manager for an Alaska cod longline company and has broad experience as a port engineer, USCG licensed chief engineer and a fisherman at sea. In 2015 Mr. Down was appointed to the North Pacific Fisheries Management Council. Mr. Down was reappointed in 2017. Mr. Jon Gerken is the fisheries branch chief at the Anchorage Fish and Wildlife Conservation Office. He serves as the federal inseason manager for federal freshwater fisheries occurring in the Alaska Peninsula, Bristol Bay, Aleutian Islands, and Chignik management area. In addition, he is responsible for developing research programs for salmon conservation primarily linked to juvenile salmon life history and freshwater productivity. Prior to this position, he served as the senior fisheries biologist at the Anchorage Fish and Wildlife Conservation Office and as the assistant inseason manager on the Yukon River. This is his first year representing the USFWS on the NPFMC. Mr. Gerken received his MS degree in fisheries from the University of Alaska Fairbanks. He resides in Anchorage, Alaska. Dr. Dave Hanson has been a Council member since 1988 and is the Council Parliamentarian. He is employed by Pacific States Marine Fisheries Commission serving as Deputy Director prior to semi-retirement He has been involved in many marine issues for the West Coast and Alaska. He has served on the Stellar Sea Lion Recovery Team and other many other scientific and management bodies. Prior to working for the Commission he was employed by the Idaho Department of Fish and Game. His final position was Chief of the Fisheries Bureau. He also was a biologist and Law Enforcement Officer with the U.S. Forest Service. Mr. John Jensen is a commercial fisherman and owner of Jensen’s Boat Rentals, a company specializing in self-guided, recreational boating adventures, based in his home town of Petersburg, Alaska. His career in commercial fishing began in 1966, fishing for halibut in the Gulf of Alaska and king crab in the Bering Sea; and since that time, has participated in numerous fisheries as vessel and permit owner in all coastal regions of Alaska. Locally he has served as a member of the Petersburg City Council and is a past board member of the Southeast Alaska Power Agency, 2008-18. Since 2001, Mr. Jensen has been a member of the Alaska Board of Fisheries and is an advisory member to the North Pacific Anadromous Fish Commission and a member of the North Pacific Fishery Management Council. Mr. Buck Laukitis is a self-employed commercial fisherman fishing salmon, halibut and cod in the Gulf of Alaska, Bering Sea and Aleutian Islands. He was president of the North Pacific Fisheries Association in Homer, Alaska (2001-2013), and served on the Board of Directors Alaska Marine Conservation Council (1992-2000) and the Board of Trustees of the Homer Foundation (2004-2016). He is also a board member of the Alaska Fisheries Development Foundation and the Seafood Harvesters of America, which is a Washington, DC-based national fishing organization. He holds a B.A. in Philosophy, with a minor in Economics from Colorado College. Buck played Division I college hockey for two years and his daughters are the Alaska Salmon Sisters. Mr. Steve Marx is the Oregon representative on the North Pacific Fisheries Management Council and serves as the designee for the Director of the Oregon Department of Fish and Wildlife (ODFW). Mr. Marx retired from ODFW in July 2017 after 34 years with the agency. Prior to retirement, he worked as the West Region Manager overseeing field operations west of the Cascades which included working closely with agency leadership, other agencies, non-governmental groups, and local tribes on management and policy matters. Prior to his time as West Region Manager, Mr. Marx worked as the Upper Willamette Watershed District Manager for seven years and spent over 20 years working as a fisheries biologist on management issues, habitat enhancement and protection, and field assessments in the upper Deschutes River subbasin. Mr. Marx received a degree in Fisheries Science from Oregon State University and resides in Bend, Oregon. Mr. Glenn Merrill is the Alaska Region Assistant Regional Administrator for Sustainable Fisheries in Juneau, Alaska. Mr. Merrill has been with the Alaska Region since 2001 and has served a variety of roles in the Sustainable Fisheries Division. Prior to working for the Alaska Region, Mr. Merrill was the Chief Resource Analyst for the Aleutians East Borough, a Research Specialist for the National Research Council, and a Knauss Sea Grant Fellow in the U.S. Senate. 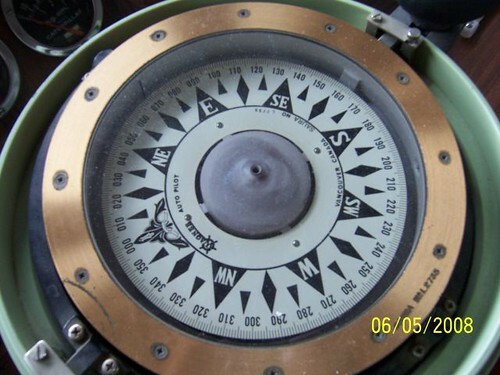 Mr. Merrill began his career as a fisheries observer onboard vessels fishing for wild Alaska pollock, Pacific cod, and West Coast groundfish. Mr. Merrill holds a Master’s of Marine Affairs from the University of Washington, and a Bachelor’s degree from the University of Puget Sound. Mr. Andy Mezirow has been a professional mariner, fisherman and educator his entire adult life. He financed his college education at the Evergreen State College by commercial fishing for Swordfish, Tuna, Atlantic Cod and Pacific Halibut. He spent years working as a captain and crew on Oceanographic Research Vessels that sailed all over the world from Borneo to Siberia. In 1994 Mr. Mezirow moved north to take the position of chief officer on the University Alaska Research Vessel Alpha Helix. 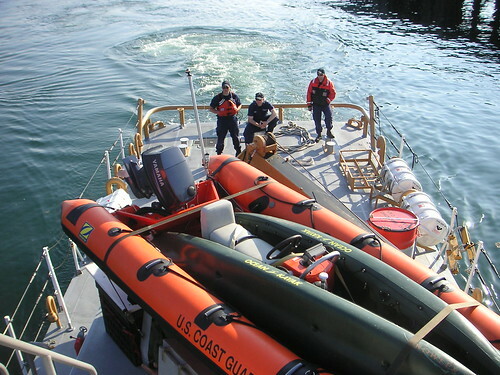 He came ashore and split his career between owning and operating Gray Light Sportfishing Charters and in the offseason, working as the United States Coast Guard approved instructor teaching mariners and young fishermen at the State of Alaska Maritime Training Center. Along the way he became the regional representative for the International Gamefish Association, served on the board of directors of the Alaska Marine Safety Education Association, the National Association of Charterboat Operators, and served four years on the NPFMC Advisory Panel, before being twice appointed as the recreational fishing representative on the North Pacific Fishery Management Council and to the Board of Directors of the North Pacific Research Board. In his spare time, you will find him and his wife trolling the blue waters of Kona in search of blue marlin. Ms.Theresa Peterson is the Fisheries Policy Director for the Alaska Marine Conservation Council (AMCC), an Alaskan based conservation group. She has worked for AMCC since 2004, playing a key role in the Working Waterfronts and Fisheries Conservation programs. Ms. Peterson currently serves on the board of the Alaska Jig Association, the Alaska Oceans Observation System, and the Kodiak Fish and Game Advisory Committee, and she is a member of numerous fishing associations. 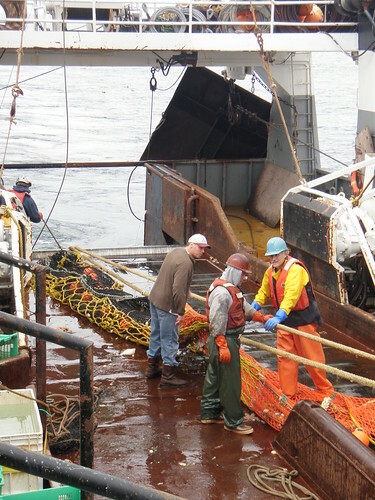 Theresa Peterson has a diverse commercial fishing portfolio spanning over three decades: drifting, set netting and seining for salmon, longlining for halibut and sablefish, and jigging for cod. Ms. Peterson served on the Advisory Panel for 7 years prior to her appointment to the Council in 2016. 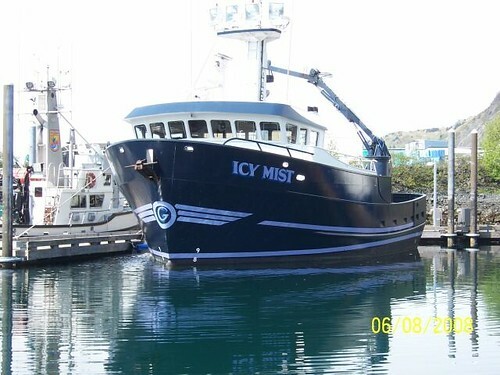 She currently resides in Kodiak, Alaska and spends summers setnetting in Alitak Bay.